Welcome to Day 3 of Preparing for the Holidays~ Gift Giving! 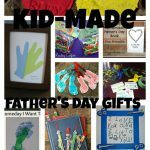 Today I want to show you some of the homemade gifts I have given my kids in the past. Sometimes there are not the funds to buy many gifts. We have had lots of years like that, but I still want to make the holiday special for my children. Also, even if funds are not short, there is something more special and thoughtful about a homemade gift. They come from the heart. I love homemade gifts- they are so much more meaningful. Making presents can often save you quite a bit of money if you search for sales or recycle things you have to make them. You do have to start early, though if you want to get these kinds of projects done in time for Christmas for your kids! 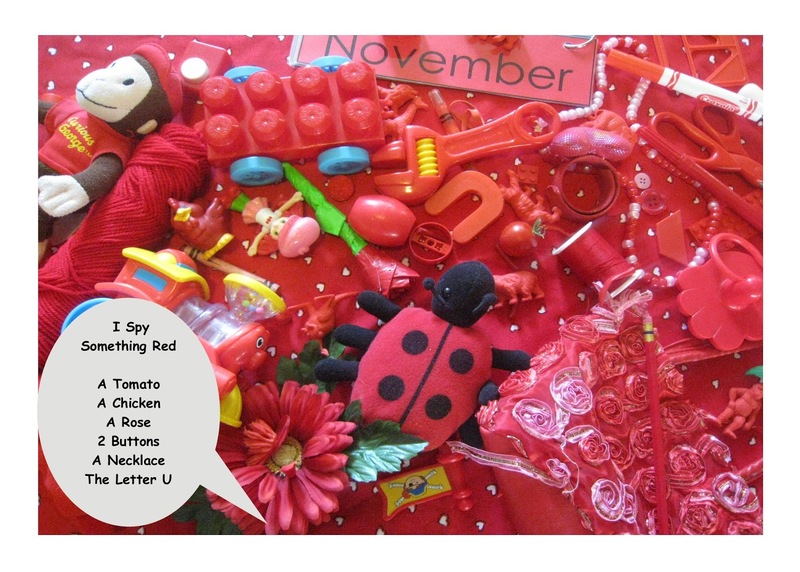 I-Spy Books~ If you haven’t seen the fun I-Spy printables I have made, check them out. You can make your kids a little book with these. Fabric Letters~ Here is a little tutorial on how to make these fun letters. You can do so many things with these letters. Reversible Hop Scotch/Tic-Tac-Toe Mat~ This was my big project for the kids last year. Here are the instructions for this project. One side has Tic-Tac-Toe and the other side has Hop Scotch. It is so fun for cold or rainy days! Painted Rocks~ Get some small smooth stones and paint some letters, or numbers on them. Cover them with a mod podge glaze to keep them from wearing off. Sewing Kit~ Last year I collected some needles, thread, fabric squares, buttons, yarn, and a small embroidery hoop and made a little sewing kit for my daughter. I sewed a simple square bag with ribbon handles and put everything in there. She loved it so much, and still pulls it our regularly. I already had all of the supplies on hand for this little project. Duct Tape Crafts~ There are so many duct tape projects you can find online now. Last year for my son, I made this fun duct tape Indiana Jones whip. It has held up incredibly well- he still plays with it~ and it has even been left outside in the rain many nights. Treasure Soap~ this was a very simple project. I was surprised by how easy it was to put together. I found some little soap molds and got the soap with a half off coupon at the craft store. When I melted the soap, I tinted it a tiny bit. I made pink for my daughter and light blue for my son. I poured in half of the soap and let it dry for a few minutes. Then I put a little toy in the middle. Then I poured in the rest of the soap. My kids really loved using this soap at bath time. They were always excited to see what was in the middle. 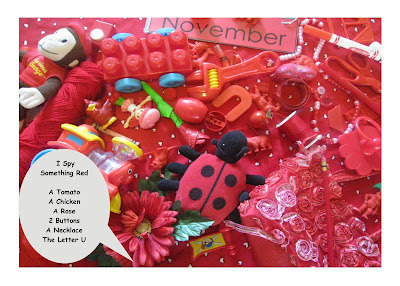 Alphabet Mat~ This little project, I made years ago, but it has been such a fun thing for us in our home. All of my kids love to pull it out and play with it. It is something that will last for so long and can be used for so many purposes! 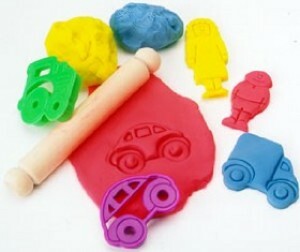 Homemade Play Dough~ There are so many fun play dough recipes online now. People seem to be so creative with the scents and the colors and all of the themed play dough ideas. Just check Pinterest for a million and one ideas on this. Homemade Bean Bags~ Have you ever made homemade bean bags? They are SO easy to throw together. All you need are two small squares of fabric and dried beans. 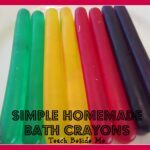 Even the very beginner sewer could make these without a problem. No sewing machine? They can easily be hand sewn or even glued together with fabric glue. Kids love bean bags- they can be used for all sorts of fun games! The ones pictured are the ones I made for our tic-tac-toe mat. 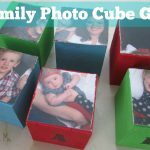 Homemade Puzzles~ Make puzzles from family pictures, favorite cartoon characters, or pictures that your kids have colored. Just glue them onto card stock or cardboard and laminate. It’s also fun to make them on jumbo popsicle sticks. Book Caddy to hang on the side of your kids beds. I made a set of these last year for my kids. They were so excited to have a place for their books. My kids have bunk beds and they each have one hanging at the end of their beds. I will warn you though that you need some heavy-duty fabric & ribbons for this project. I made my daughter’s out of a cute little printed cotton & it ripped half way through the year. She did overload it with most of her favorite books, though! 🙂 My son’s has held up much better; I used a thick corduroy for his. I can share a tutorial on this soon. Something else I always encourage my kids to do is to make homemade gifts for each other. Kids don’t typically have much money to spend, so this is a fun way they can give to family members. They are always so proud of the things they make. 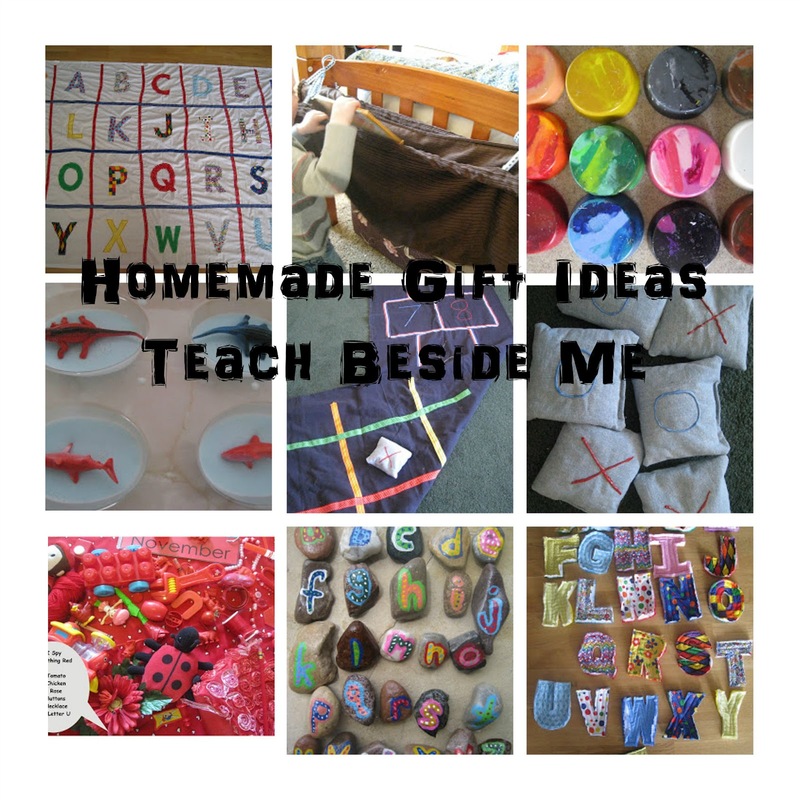 I would love to know what fun gifts you are making for your kids! Wow! I am so incredibly impressed!! Those crafts are awesome!!! oh I LOVE the painted rocks – GREAT idea! Love these ideas!! Pinning. 🙂 I’ve had fabric letters on my to do list for ages but not sure I have the patience to actually make them! Love all these ideas! Love the painted rocks AND the play dough idea. We are going to make ornaments as our homemade gifts this year. 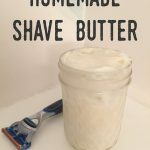 I’m considering a cornstarch recipe I found recently! I love the idea of having our children make something for one another as opposed to going shopping. Hmmm. I think I’ll pin this too! Thank you! Love these great and creative ideas! Thanks for sharing at Mom’s Library Link-Up! Wow there are so many wonderful and creative ideas that I do not honestly know where to start! I have always loved the Indiana Jones whip. I have pinned this post onto my Homemade Christmas Gifts Board. Thanks for linking up to my Enchanted Thursdays Blog Hop this week! Really great ideas! I love the Indiana Jones whip! Thanks for sharing at Mom’s Library! Congratulations! You won the most clicked on feature at my href=”http://earning-my-cape.blogspot.com/2012/11/super-link-party-27.html”>Super Link Party! I love all of these. My son would go nuts for the duct tape Indiana Jones whip. I’ve pinned it so that I can remember to make it with him. Thanks for the ideas!! !